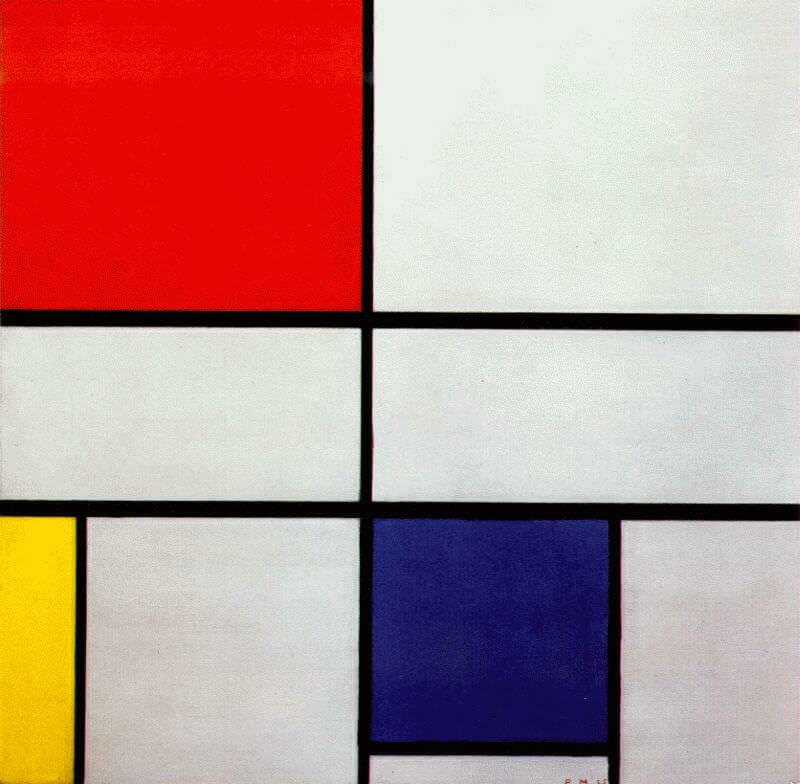 Mondrian began working around the very beginning of the 20th century, and his work appears to have been influenced by the Impressionism, and the bold use of colour employed by fauvist painters like Henri Matisse and Gauguin. 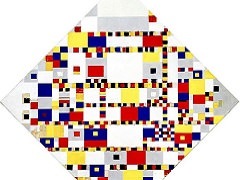 Prior to the First World War, Mondrian's work was still fairly representational, but it already showed hints of the abstraction for which he would become best known. 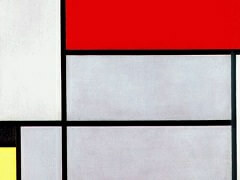 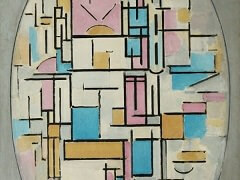 But it was the outbreak of war which seemed to change Mondrian's work forever. 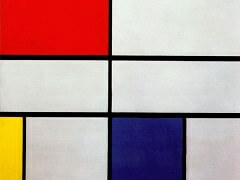 And Composition C (No. 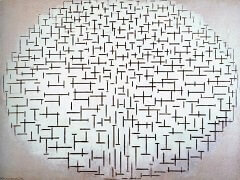 III) is a good example of how he responded to the political and social consequences of the war through his work. 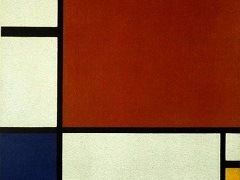 Mondrian's arrival in London in 1938 confirmed the capital as a centre for the avant-garde. 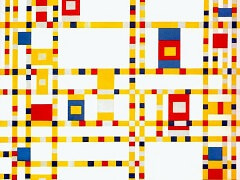 In 1936 he had shown this and other works in Abstract & Concrete, London's first international exhibition of abstract art. 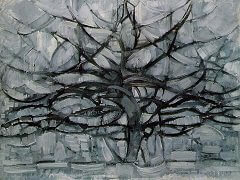 Mondrian's non-figurative paintings - planes of primary colour with black and white - convey what he described as a 'dynamic equilibrium', which he hoped would work on the individual spirit and have wider social implications.